Happy Paws Training Treats - Premium training treats. Greg Derrett - Home of the Dog Agility training and handling methods and resources produced by Greg and Laura Derrett. 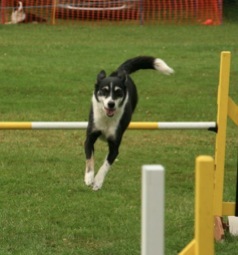 Clean Run - Publishes dog training books and videos as well as a monthly magazine on the sport of Dog Agility. Agility Click - Dedicated to educating and helping the Dog Agility enthusiast - based in Queensland. Dogs Victoria - Peak body representing owners and breeders of purebred dogs in Victoria. A member of the Australian National Kennel Council.